Use this coloring page for St. Patrick’s day to teach kids about the Trinity. St. Patrick’s Day is actually a religious holiday, so let’s make sure kids hear about Jesus. This coloring page is designed to help you talk about the Trinity. God is 3-in-1 like the shamrock is 3-in-1. We’ve included the following Bible verse: If you need to change to a different verse, download the WORD DOC version for easy editing. This illustration shows a hand holding up a three-leaf clover. 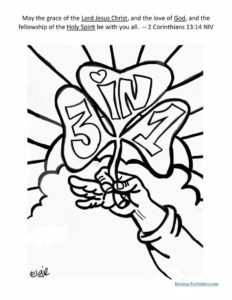 On the clover pedals is the phrase “3 in 1.” This would be a good conversation starter with the children about the concept of the Trinity and how God is three-in-one. 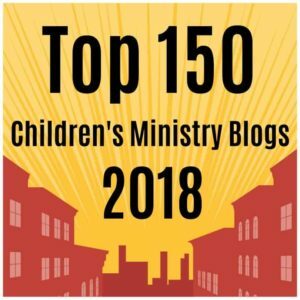 Be sure to check out all our Saint Patrick’s day ideas for children’s ministry. 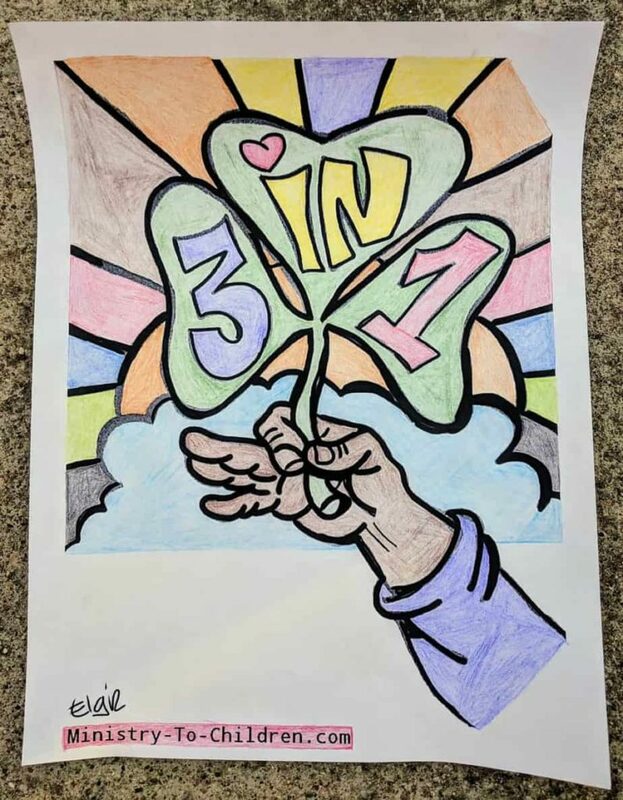 Love the shamrock coloring page – The 3 in 1 idea is a great way to introduce the Holy Spirit. Thanks!